The MINI NDN is a small fixed blade integral that was forged from some 10 mm diameter 52100. The steel came from the ball bearing factory in Dahlonega, Georgia. I have a limited amount of that size and have figured out how to make them a little better and faster so that I can pass the saving on to you. The diameter is .39″ and it makes a blade about 2 3/4 inches long and is about 7 inches in OAL. It will have a bois d arc handle on the hidden tang blade. 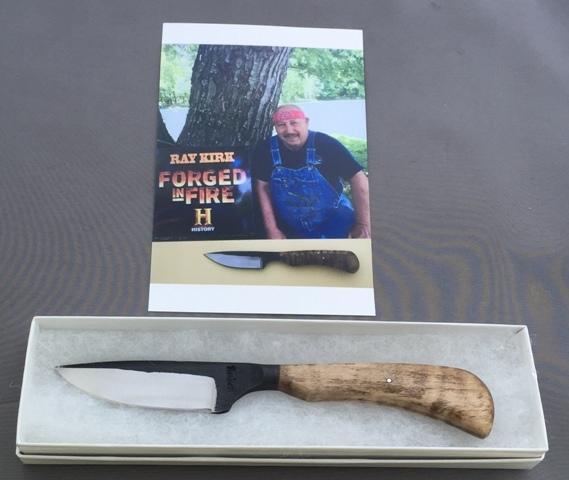 It will come in a display box with a photo of myself with the curly maple knife in the picture. I will sign it and date it with the number of knives that have been sold. The total cost of the knife is $175.00 and that includes mailing, box and picture of authentication. 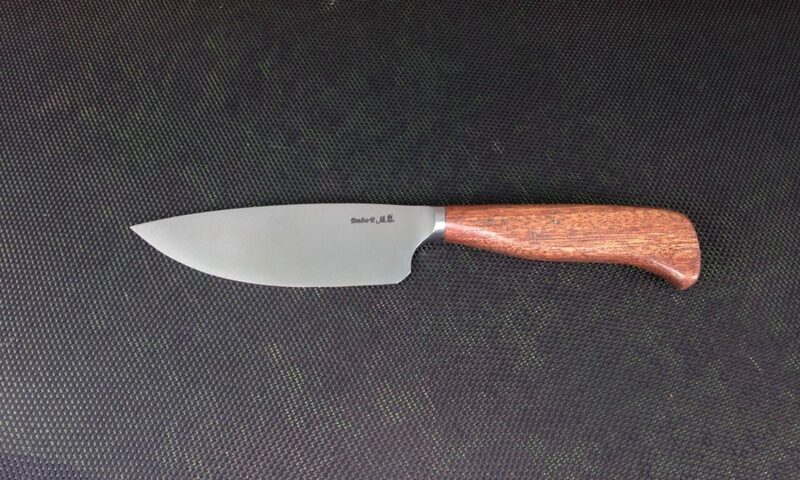 The knife does not have a sheath and can be used in the box for display or as a box for a gift.